Access to this town is quite easy. You can get to Sorano by catching a bus from Grosetto. There are many buses available and you don’t have to purchass ticket beforehand. Another way is driving in the main highways. There is no airport or train station in Sorano. 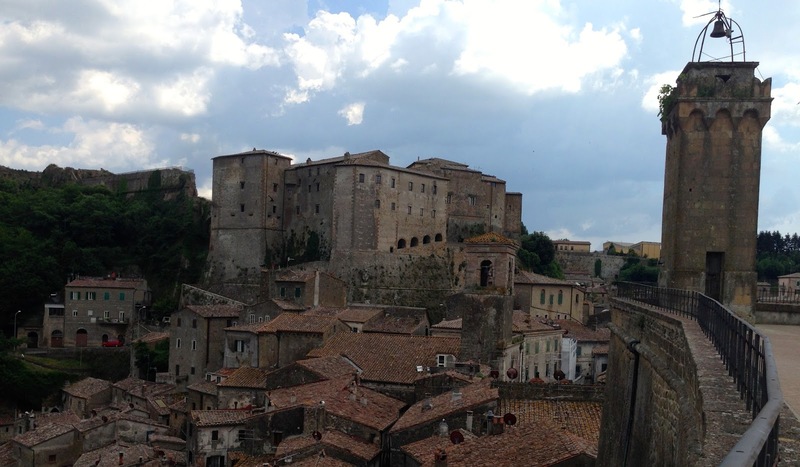 Sorano is a small town and all the main attractions are situated around the town center. You can explore all of them just by walking on foot. You can also go by car but it is not recommended as the streets in Sorano are quite narrow. Buses are available but are pretty expensive. You can also go rent bicycles. 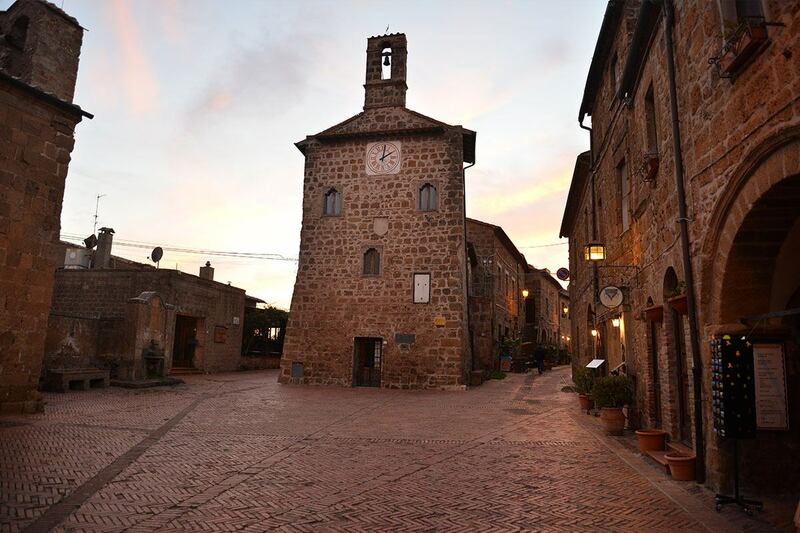 Attractions in Sorano: There are 2 main attractions in Sorano- the Rocca Degli Orsini (the Orsini castle), the Masso Leopoldino and the Sorano village itself. Rocca Degli Orsini: Built in 1552, the castle was destroyed half of what it used to have, but it still in a very good condition nowadays. There are 2 towers connecting to the main gate.The main gate is decorated with impressive cravings of arms. You can still see the round tower, which is the oldest tower built in 1552. Masso Leopoldino: This is a very large terrace made from natural tuff rock lying between the old town and the castle. From the terrace, you can have a wonderful paranomic view about the village as well as the hereby hills. The old town: This village will sure give you a hint of medieval times. In the village, you can visit the Porta di Sopra and the Cathedral. They are very beautiful with baroque and neoclassical designs. Besides the Cathedral, you can catch a view of the Palazzo Comuale, which is the old house of the Orsini before the family moved to the castle. This residence is still kept in a very good condition. At the high end of the town, you can see Sasso Leopoldino which is another fortress. There are various small shops where you can come in and try local’s specialties as well as souvenirs. By walking along all the stone-paved roads, you can look at old buildings around town and enjoy the wonderful views of a town that brings you back to the medieval times. The main product in Sorano is dairies. There are methods of creating traditional food that are kept from the medieval times. The most common dairies products in Sorano is ricotta and caciotte cheese. Another main food in Sorano is ham. It is so loved in Sorano that there is a local celebration in August each year called “The feast of Ham”. In this festival, you will have an amazing opportunity to try many kinds of ham as well as tasting many types of cheese and wines. Here are all the basic things you need to know about Sorano. If you decide to visit it, then great, you have made a good choice. This beautiful and quiet town will not disappoint you. I hope that all these general information will help you plan your trip better.